Wedding planning New Zealand – Thinking of eloping? We arrange everything so your wedding day is perfect in New Zealand. Have as much or a little input as you wish. We plan your complete wedding day and can even book your accommodation, activities and adventures. The first step when you want to get married in New Zealand is to contact us. Now you are more than half way to a fabulous day. You now request an information pack on the various destinations in New Zealand, you chose one and decide what area is the best for you both. Step 2. Once we have discussed exactly what you have dreamed of for your wedding day, the next step is to advise us of a date… and that’s it. All the work is done for you. Do nothing else and you can simply arrive on the day and enjoy. We have many examples of ceremony options for wording and ideas that can help with your wedding ceremony. Once your date is set and we receive a deposit we confirm each supplier is available and we lock it in so you don’t lose your date. This way you can arrange flights and your itinerary for the rest of your holiday in New Zealand. Step three is to share your ideas of photos, videos, flowers, hair and make up ideas with us so we can let our suppliers know exactly what you love. If you want to add a heli-flight for your photos we can add these in for you at any time. If you would also like to add some adventures like a bungy jump, a jet boat ride or wine tour we can add these too and pre-book all your adventures before you leave home. Once everyone is secured and we have received your deposit, our proven and professional suppliers will make contact with you so you know you are in good hands. They will work through their specific part of the day with you so you have complete control. We will send you options for ceremony ideas to personalise your wedding vows. These will come in a word doc option so you can cut and paste the parts you want or add in any wording that is unique to the both of you. 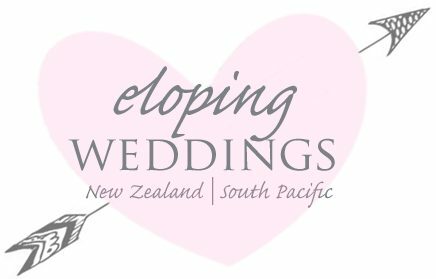 Eloping Wedding Limited is a legitimate registered company in New Zealand so you can rest assure you are dealing with a professional wedding planning company. We operate from our head office and travel to various parts of New Zealand to over see each and every wedding. We are with your from initial enquiry to after the wedding. 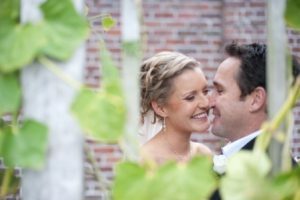 We are also professional wedding photographers and videographers so we know all the best photo locations and opportunities to make the most of your New Zealand elopement. We specialize in intimate wedding planning all across New Zealand and we have had the privilege of assisting couples from around all over the world. We would love the opportunity to make your wedding dreams come true. We have a team on standby waiting for your call or email. We have various options to contact us for your convenience so don’t hesitate to contact and talk.